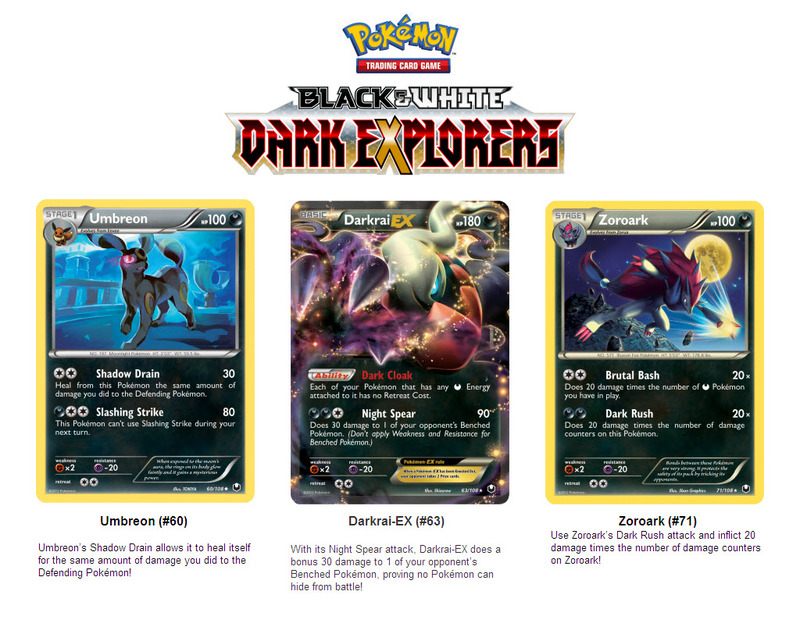 The first three cards from Dark Explorers have been revealed. Darkrai-EX, Umbreon, and Zoroark will be released in the 108 card set on May 9th. Each new theme deck and booster pack includes an in-pack code card that unlocks virtual cards for play in the Pokémon Trading Card Game Online. Expand your personal deck and battle against others from around the world! Battles are taking place now at www.pokemon.com/tcgo.